We highly value children at Dixon and design programs and services to allow them to just be kids during a stressful time in their young lives. Women come to Dixon Transition Society seeking shelter and guidance after escaping violence. Many of those women are mothers. These women can be assured that they will not be alone in their parenting journey. In coming to Dixon, kids might have to leave behind beloved toys and books, pets, or other family members. Many of the kids who come to Dixon’s facilities have often witnessed violence, if not directly experienced it. Their needs need to be met, too. Both Dixon House and Wenda’s Place have Child Support Workers on staff. These workers are responsible for supporting children through this challenging transition period. Children at Dixon can attend workshops and activities like arts and crafts workshops, story time, baking, games, and outdoor activities. 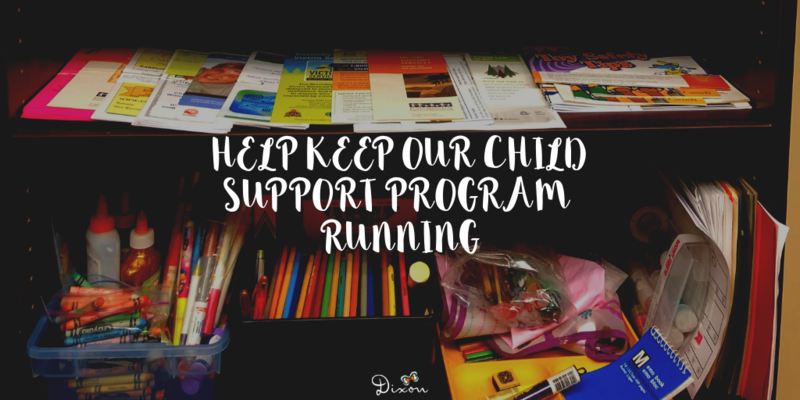 The Child Support Worker also helps with homework, and getting enrolled in school or transitioning to a new school. We also provide ample play space with toys and books for children. The funding for this program will be eliminated entirely by 2020. Help us keep this vital program running by joining us at the Scotiabank Charity Challenge!